Dallin Draper has had this meet marked on his calendar ever since January and now he's just days away from show casing his talent to the rest of the country. Draper's first race of the season took the nation by storm as he ran U.S.#1 in the 60m and he remained at the top for nearly a month! Ever since then he has been on the radar as a name to watch. He continued his dominance at the UHSTCA where he won the 60m and the 200m in which was then a U.S.#6 of 21.54. That is where he made it clear he wanted to go to New Balance and run against the best. 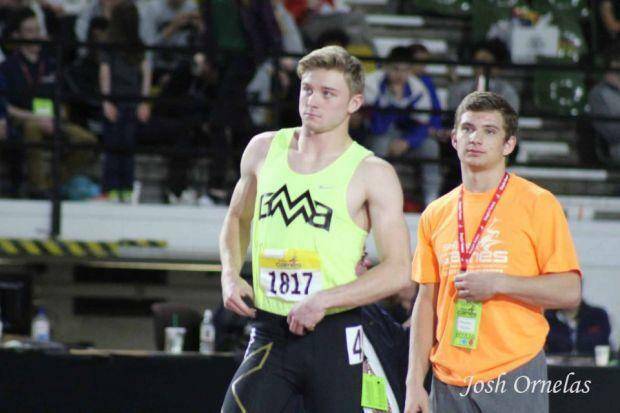 He took his talents up to Pocatello for the Simplot Games where he swept both the 60m and 200m in amazing times. Now the last race of the indoor season has arrived and Draper looks to cap off this dream season with a National title or two as he is entered in both the 60m and 200m.